I am a very approachable music teacher with a positive and progressive attitude to music education. 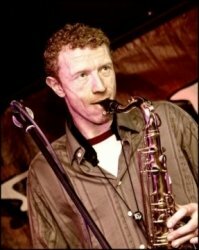 I work part time as a performing saxophonist with many bands nationwide. My passion is to perform and I love working with various artists within the industry. As I recently graduated with honors from Griffith College Dublin (H.Dip MusEd) I take pride in the progress of my students. I am relatively fresh within the industry and I still hold a strong and zestful drive towards music education. I have 4 years teaching experience gained from teaching both privately and in various music schools in my local region. Saxophone performance - wide array of styles covered. Music theory, graded theory exams, junior and leaving cert written exams. I assess my students ability identifying their strengths and weakness', I then custom create an appropriate lesson plan to suit my students requirements. I always maintain a strong emphasis upon the creative and fun aspects of music performance. Whether it is melodic composition or practical performance, I love to encourage my students to develop a passion for their art thus developing a strong sense of intrinsic motivation.